Certain medical conditions are so rare or serious that an applicant for disability benefits cannot afford to wait for their claim to be processed and approved. 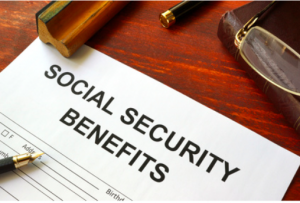 These conditions are included in a special Social Security program called Compassionate Allowances which allows these claims to be expedited. A typical disability benefits claim can take months to be approved. A majority of all claims are denied at the initial stage, which means that most applicants will go through the long process of filing an appeal before their claim is finally approved. However, a person suffering from an especially aggressive form of cancer may not be in a position to wait to get his claim approved. Under the Compassionate Allowances program, however, the speed of claims processing is accelerated so that claims are processed quickly, provided you meet all the criteria for approval of a claim. Many types of cancer, brain diseases, and a number of other conditions are included in the listing for eligibility. The Social Security Administration (SSA) will use its technology and resources to identify if the condition meets the criteria of a disability qualifying for Compassionate Allowances. Claims filed under Compassionate Allowances are processed within a period of 19 days on average. Tagged: "expedited processing" and "disability benefits"
Early onset dementia or Alzheimer’s is a relatively rare type of dementia that typically strikes people below the age of 65. Approximately 5% of people currently diagnosed with dementia in the United States are believed to be suffering from early onset dementia. 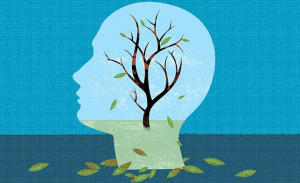 In most cases of early onset dementia, symptoms begin when the person is in his 40s or 60s. It’s not clear why some people develop symptoms so much earlier than others. Obviously, symptoms like forgetfulness, memory loss, and subtle speech changes at a young age can be very traumatic and confusing. Going to work can be an overwhelming affair because of the frequent disruptions caused by memory loss and cognitive malfunctioning. Fortunately, the Social Security Administration (SSA) has added early onset dementia to the list of programs covered under its Compassionate Allowances program. Filing under the Compassionate Allowances program can be very beneficial to someone suffering from early onset dementia because so many of these claims are rejected initially based on the person’s age. This can also allow for expedited processing. If your loved one is showing signs of forgetfulness or language difficulties, don’t automatically attribute these to the aging process. A neurologist will use blood tests, brain imaging, and other tests to diagnose early onset dementia. Tagged: "alzheimers" and "early onset dementia"
A woman who has been diagnosed with breast cancer may be eligible for Social Security disability benefits. Cancer treatments like chemotherapy or radiation therapy can lead to extreme fatigue, and gainful activity is usually impossible during this time. Certain types of breast cancer, including unresectable or inoperable breast cancer, qualify for expedited processing of disability claims under the Compassionate Allowances program. When a cancer is as serious as this, it is important to make sure that your claim is filed with all relevant documentation and evidence to ensure that the claim is processed quickly. Keep in mind that if the documentation, lab reports and pathological evidence you have provided is not deemed sufficient, the agency may deny your claim. Talk to an attorney and get your claim reviewed thoroughly before you submit it to maximize your chances of a successful claim. 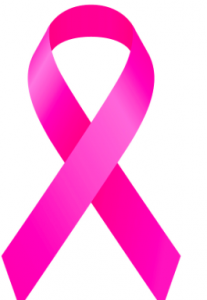 If you or a loved one have been diagnosed with breast cancer, talk to Lisa Siegel, Georgia Disability Attorney, and discuss how you can begin the process of filing a claim. Tagged: "breast cancer" and "social security benefits"
The Social Security Administration (SSA) recently added Superficial Siderosis of the Central Nervous System to its Compassionate Allowances program. This is a neurodegenerative condition that causes bleeding in the brain. Those with this condition suffer from deposits of hemosiderin in their brain or spinal cord, which can cause chronic bleeding. This often results in loss of hearing and progressive gait ataxia, the loss of full control over one’s gait. Superficial Siderosis of the Central Nervous System is not a genetic disease and can occur as a result of surgery, trauma, or other factors. An aneurysm, for instance, can result in this condition. Patients who suffer from this condition often complain of multiple ailments, and diagnosis is often tricky because this is one of the most rare neurodegenerative conditions. Typically, processing of a disability benefits claim can take between 6 and 12 months. However, when a claim involves a condition or disease that is included in the Compassionate Allowances program, the amount of time required to process a claim is significantly reduced. 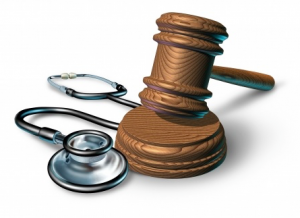 In many cases, just a diagnosis of the disorder will allow the claimant to qualify for disability benefits. Typically, a claim may be processed within 2 to 3 months after being filed under Compassionate Allowances. Tagged: "Superficial Siderosis" and "compassionate allowance"
The Social Security Administration (SSA) recently added Megalencephaly-Capillary Malformation Syndrome to the list of disorders and conditions included in its Compassionate Allowances program. 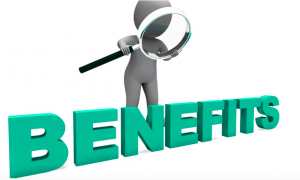 This program allows expedited approval of disability benefits claims. Megalencephaly is a condition that is characterized by overgrowth of tissues in the body and abnormalities of the tiny blood vessels in the skin. A person who suffers from this condition will have an unusually large head. He may also suffer severe brain abnormality and have excessive brain fluid. There may also be abnormalities in brain development, which can lead to cognitive and learning difficulties as well as a general intellectual disability. The condition is also associated with speech and language delays, poor muscle tone, and difficulties in swallowing. In some cases, the excessive growth can be seen in other parts of the body, and sufferers may have a limb that is excessively sized compared to the other one, or oversized fingers or toes. The condition is caused by genetic mutations. There is no complete cure for this condition, and management may involve a number of approaches, including neurology, cardiology, ophthalmology, and physiotherapy. Tagged: "expedited processing" and "Megalencephaly"
Fibrolamellarcancer, a rare type of liver cancer, was added to the Compassionate Allowances program in August 2018. This program by the Social Security Administration (SSA) outlines a list of conditions and diseases that warrant an accelerated processing of claims. 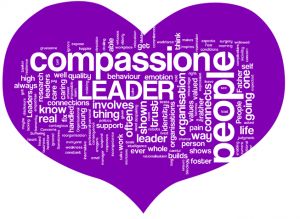 The Compassionate Allowances program currently includes 233 conditions, including five new conditions added in August 2018. Fibrolamellaris one of the rarest types of cancers, and it is believed that less than 1,000 patients are diagnosed with fibrolamellar cancer every year. Adults and young adults may be at a much higher risk of a diagnosis. However, there have been some diagnoses amongst those up to 74 years old. What makes this type of cancer especially dangerous is that it often occurs in people who have no prior history of liver disease, making it harder to diagnose. Also, many of the symptoms with this cancer are similar to other diseases, making a diagnosis especially challenging. This, unfortunately, frequently leads to diagnoses of cancer when it is already in an advanced state. Early symptoms of the condition may include shoulder pain, back pain, abdominal pain, weight loss, and jaundice. Currently, the only treatment option available for this type of carcinoma is liver resection surgery. Even this may be effective only before the spread of cancer. Tagged: "compassionate allowance" and "fibrolamellarcancer"
Tetrasomy 18p is a very rare chromosomal disorder that can lead to neurological impairment, muscular abnormalities, and a number of other complications that can severely impair the quality of a person’s life. The Social Security Administration recently added this condition to its Compassionate Allowances program. Typically, persons have two 18 chromosomes, and both of these will have a short arm and a long arm. 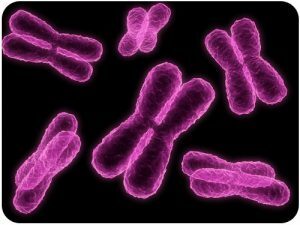 However, when a person suffers from Tetrasomy 18p, there are 4 short arms present instead of the typical 2. That can cause a number of complications, including abnormalities of the skull and craniofacial area, and disabilities of the spine. The person may also suffer from hypotonia or low muscle tone, neuromuscular disabilities, abnormal reflexive reactions, and kidney problems that can lead to renal failure. They may also have difficulty coordinating physical movements. Moderate to severe mental disabilities are not uncommon among those who suffer from Tetrasomy 18p. They may also suffer from moderate to severe speech or language difficulties, and cognitive and behavioral abnormalities. The Social Security Administration (SSA) recently added Megacystis Microcolon Intestinal Hypoperistalsis Syndrome to conditions covered under its Compassionate Allowances program. Megacystis Syndrome is a severe condition that impairs the functioning of the bladder and intestines. This syndrome mimics a physical obstruction of the intestine, causing partially digested food material to be blocked inside the intestine. This can cause symptoms that include vomiting and severe abdominal swelling. Bladder dysfunction can also cause impairment in urinary function. This is a relatively rare condition, and the prognosis for the condition is not very good. The condition is strongly associated with impaired digestion, and therefore, malnutrition is a common consequence of the condition. This, in turn, leads to a lower life expectancy for those suffering from this condition. Survival of the patient over the long term will depend on intravenous (IV) feedings or parenteral nutrition, accompanied by urinary catheterization or diversion. Long-term use of parenteral nutrition, however, is associated with liver problems, leading to further complications. There is currently no complete cure for this syndrome. If your loved one has been diagnosed with Megacystis Syndrome, contact Lisa Siegel, Georgia Disability Attorney, about filing a claim for disability benefits. Does a Cancer Diagnosis Qualify for Social Security Disability Benefits? When a cancer patient applies for Social Security Disability benefits, eligibility is determined by using the same criteria as for other disability applicants. Merely having a cancer diagnosis does not immediately make a person eligible for benefits. However, certain types of cancer patients may have the processing of their claims expedited, based on the diagnosis alone. In order to be eligible for benefits because of cancer, you have to meet certain conditions established by the Social Security Administration. For instance, the cancer must be inoperable, with no potential for control using treatment. It must be recurrent or must have spread. A person suffering from some types of cancer however, may be eligible for expedited claims process approvals. Persons who suffer from certain types of breast cancer, brain cancer, spinal cord cancer, specific types of mesothelioma, and cancers of the gall bladder, or pancreas, may be eligible for an expedited process in which their claims are approved based on the diagnosis. 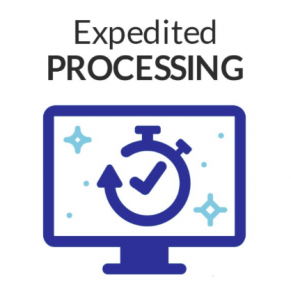 Additionally, in order to qualify for expedited approval, applicants must provide details of their history, work schedule limits and, in some cases, financial criteria. Claims based on many types of cancer may be expedited under the Compassionate Allowances Program, which allows for expedited benefits approval for certain types of ailments and conditions.